On some matters you can trust us unreservedly. Like on the topic of watches, for example. But when things get tricky, and we verge into how to wear them, and what to wear them with, we tend to consult the experts. We were lucky enough to have the ex-Editor of GQ on staff for some time, which neatly covered the area off. 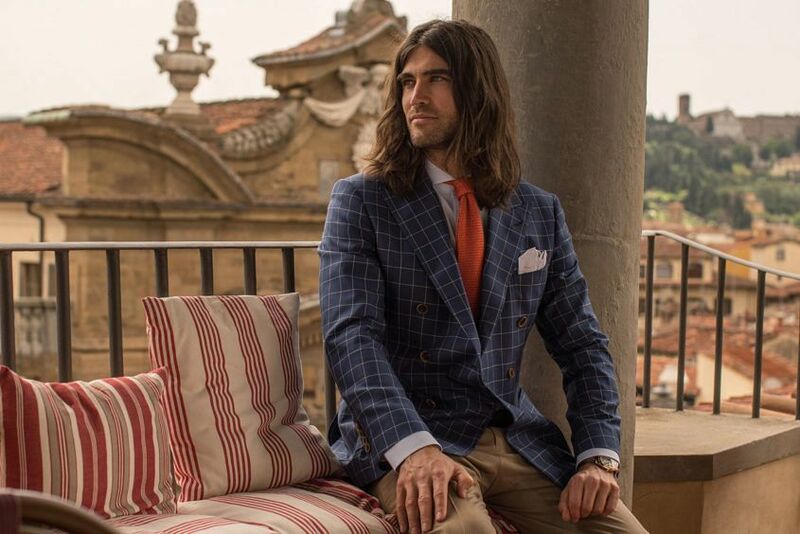 And, on a trip to Florence in May last year, we had someone whose life revolves around sartorial choices: Chris Edwards, co-founder of Australian tailors, Oscar Hunt with us. 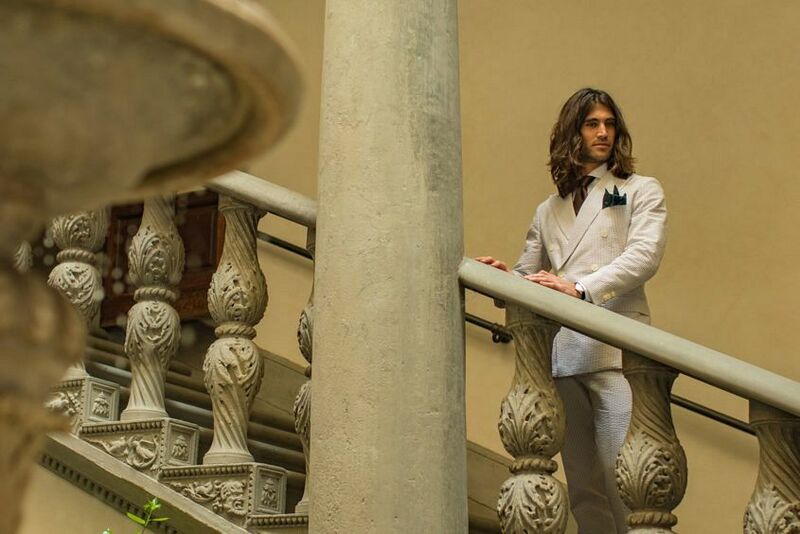 Because you need backup at a gig like Pitti Uomo. We are mere watch geeks after all. We asked him how he’d go about wearing a gold watch. This is what he said. 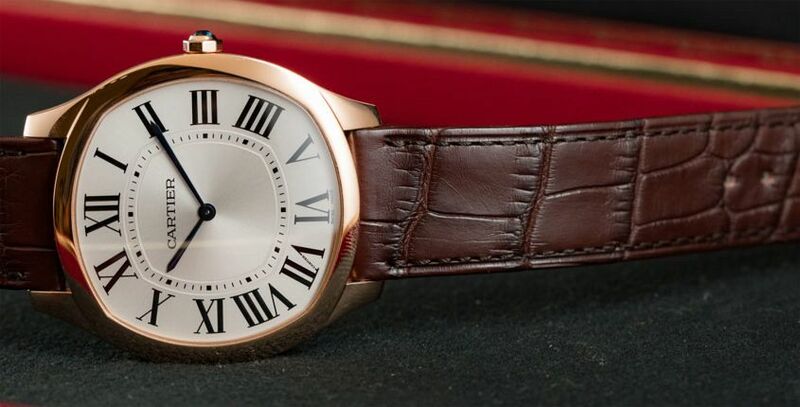 If you’re in the mood, see below for Chris’ review of a watch he now owns – the Cartier Drive. Warning: This watch review with a difference may contain traces of mancrush. So let’s address the chiselled jaw on the elephant in the room. We envy the hero of this shoot, Mr Chris Edwards, more than just a little bit. Let us count the ways. 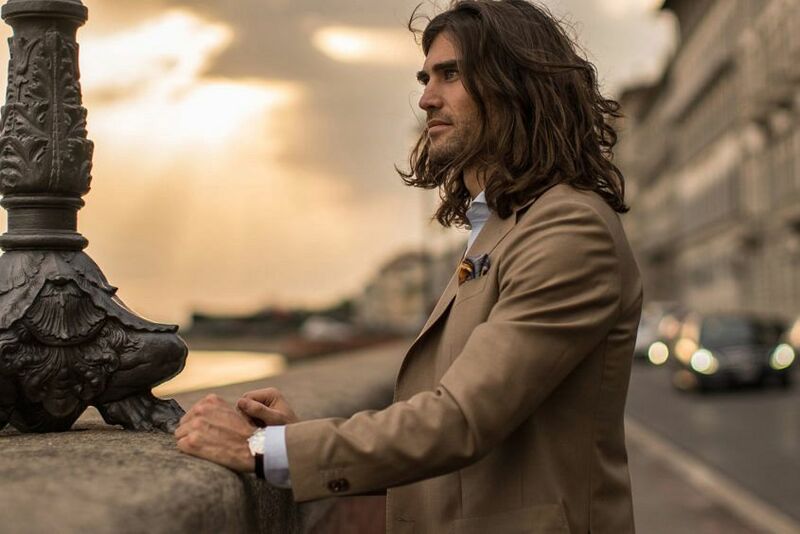 He surfs and still dresses as sharply as anyone in the country (see these stunning photographs for perfectly fitted proof). 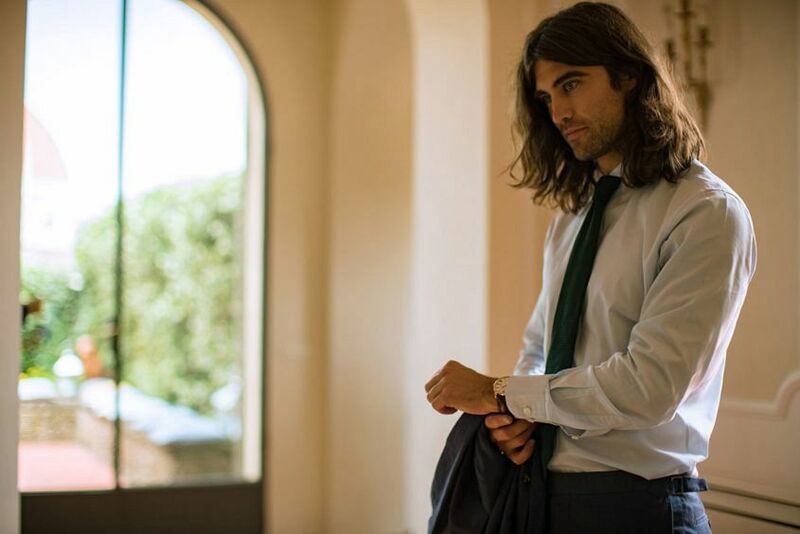 On the business front, he co-founded a high-end tailoring business – Oscar Hunt. To make matters even more unreasonable, he was recently crowned the Australian ‘Drive Man’ by Cartier. But perhaps the hardest thing to stomach is that he’s actually a really good guy. 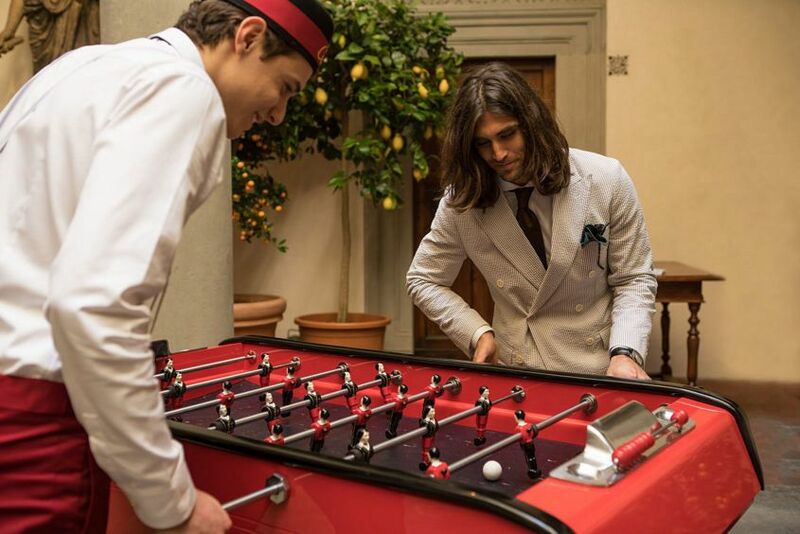 And we know, because we were lucky enough to join Chris and Cartier in Florence for Pitti Uomo 2016. 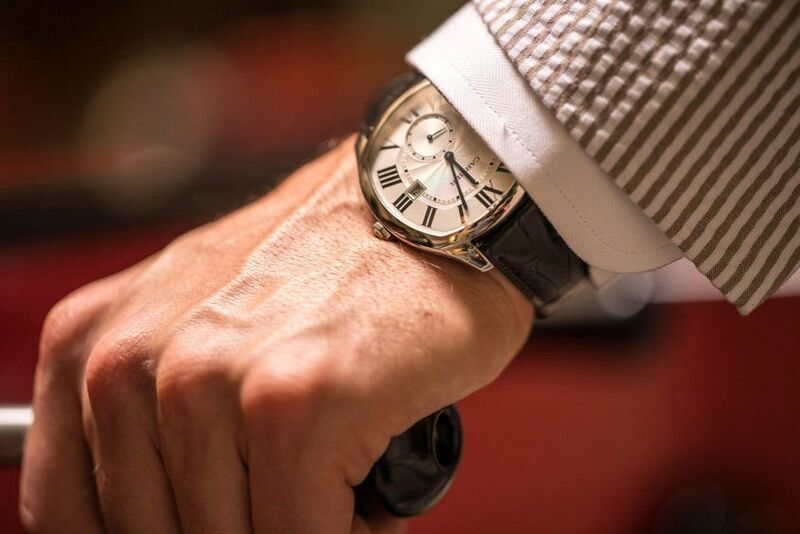 He wore the brand new Drive de Cartier for a week – and on the flight back to Australia, we asked him about it. Here’s what he told us. My first impression was… that it looked different to most other watches you see out there. It was the unique shape that struck me the most at first. Once I put it on, it felt… good. It definitely has a bit of weight to it but not so much that it feels too macho or over-the-top. Looks-wise… I thought it looked quite big in the box, but on the wrist the proportions were great. It’s definitely a masculine watch but with a high degree of style and elegance. 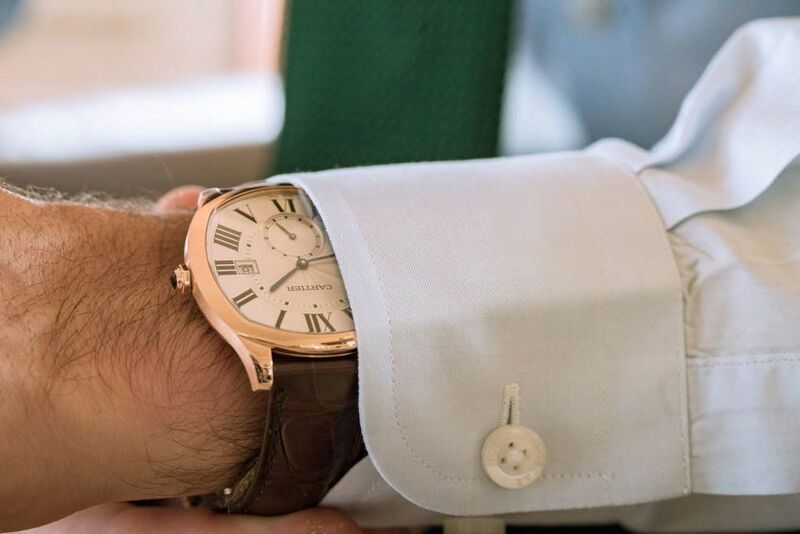 I tend to cut my shirt cuffs larger than normal to avoid catching on my wrist, so I can wear watches easily, and because of that, the watch sits well under the shirt. What stood out to me was… the attention to detail. The subtle and precise engraving on the dial, the tiny Cartier ‘secret signature’ in the number seven, and the softness of the octagon shape. It looks effortless, but I can only imagine the countless hours of work that went into getting it right. I’d wear this with… my day-to-day suiting, my smart-casual and my formal wear. Essentially, I think the Drive is a really good all-rounder. I especially liked how the watch went with my navy linen suit. The simplicity of the steel case and black alligator strap worked really well with the deep blue. I also liked that the watch was able to carry a more casual look with the open-neck tan suit. If I could change anything… it might be the clasp. I found it tricky to do up initially, although I got the hang of it after a few days. And to be honest, maybe that was because I hadn’t used that particular type of buckle before. By the end of the week… I loved it. I know that’s convenient, but it’s true. The more I wore it, the more it grew on me. Suits, both casual and formal, are an essential part of my life – and the Drive was versatile enough to complement them all. This watch nailed it.